The Annual 2018 Rockefeller Center Christmas Tree Lighting will take place on Wednesday, November 28, 2018 after the 7-9:00 pm Ceremony. Nothing marks the beginning of the magical holiday season like the lighting of the Rockefeller Center Christmas Tree. Now is the time to book your private, front row private party! 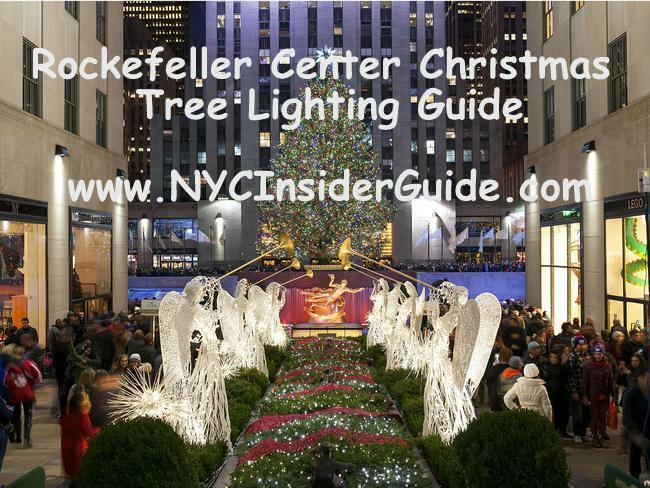 Check out the NYC Insider Guide to the 2018 Rockefeller Center Christmas Tree Lighting for tips on the best views of the tree, Vacation Packages, ice skating in Rockefeller Center, Christmas Dinner, Christmas Open Attractions and more.